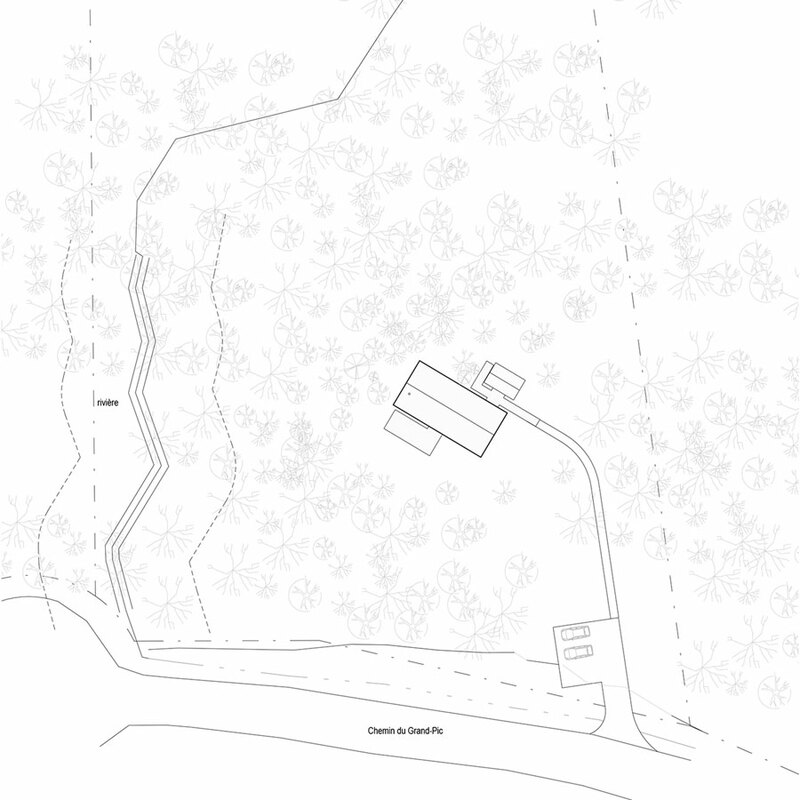 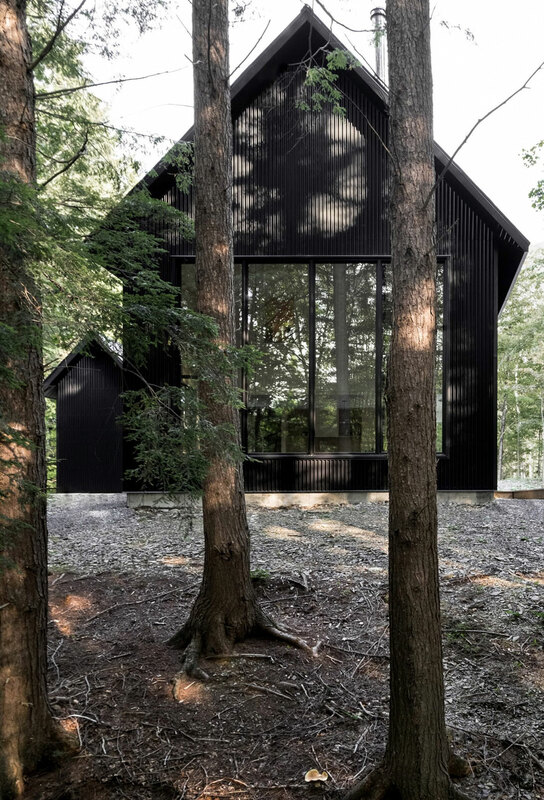 I’m excited to share with you today a fab project that a friend of mine has been working on this year – Architect Kim Pariseau and her team at APPAREIL architecture created the Chalet Grand-Pic, a stunning cottage of 148 square meters located in the dense forest of Austin (Qc), Canada. 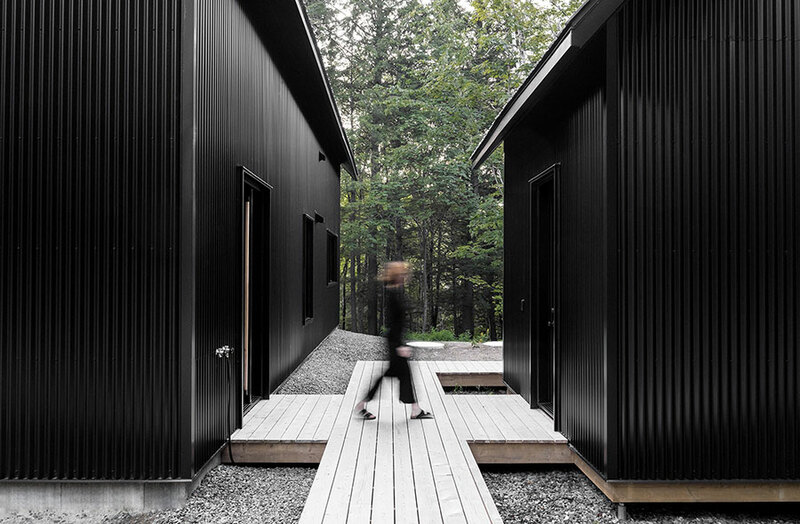 After carefully studying the terrain and its characteristics, the Montreal-based firm came up with a design that would make the most of the environment. 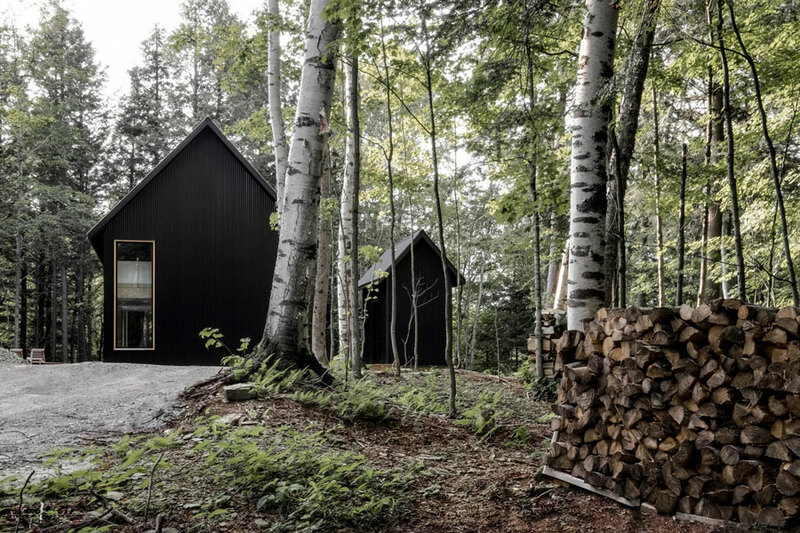 The chalet is accessible only by foot (see last picture below), which adds to the experience and joy of having a cabin in the woods. 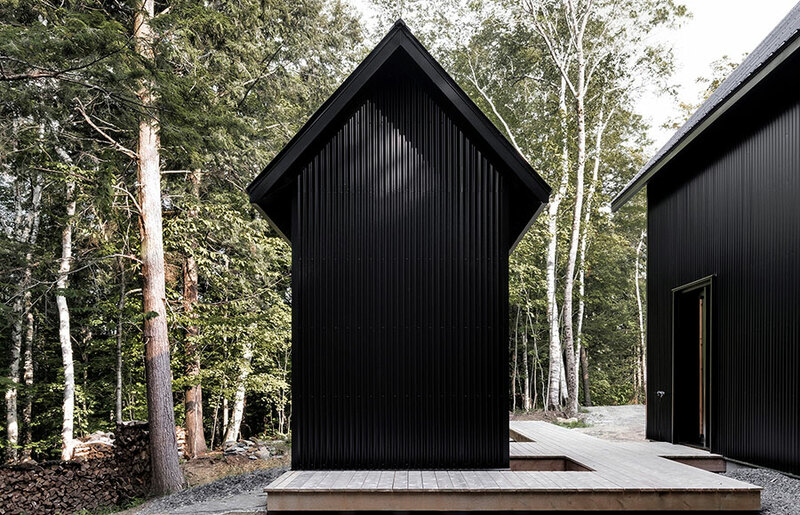 Grand-Pic consists of a main building with a matching shed, linked by cedar decking. 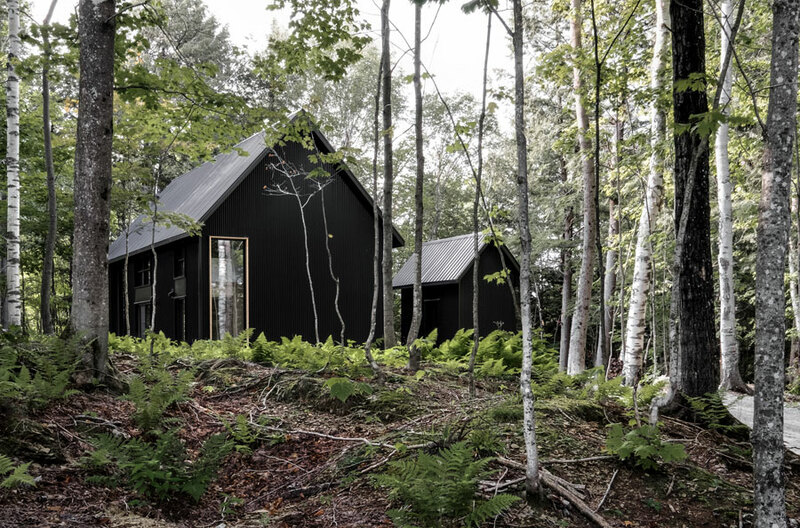 The two volumes are clad in corrugated steel with metal roofing, and painted entirely black to blend in with the environment. 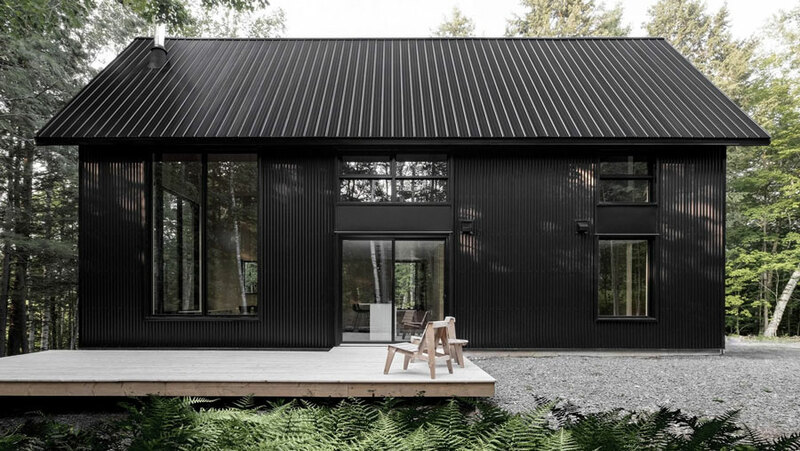 It looks stunning in the evergreen surroundings, don’t you agree? 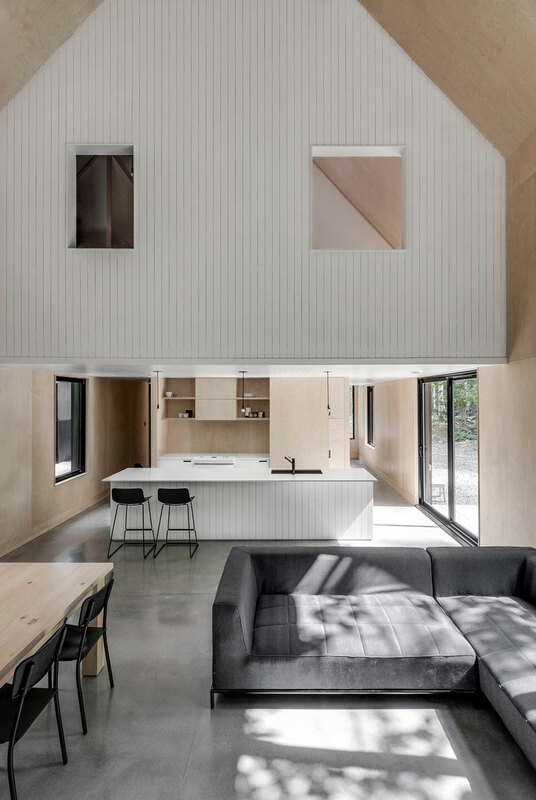 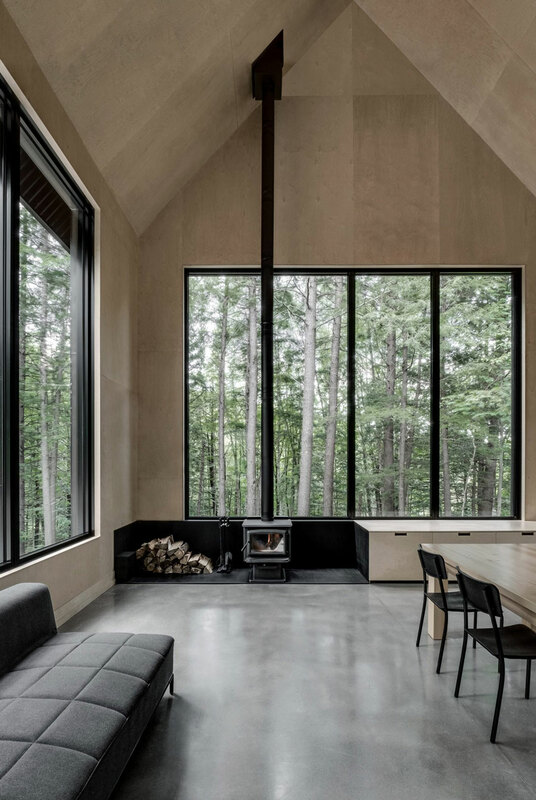 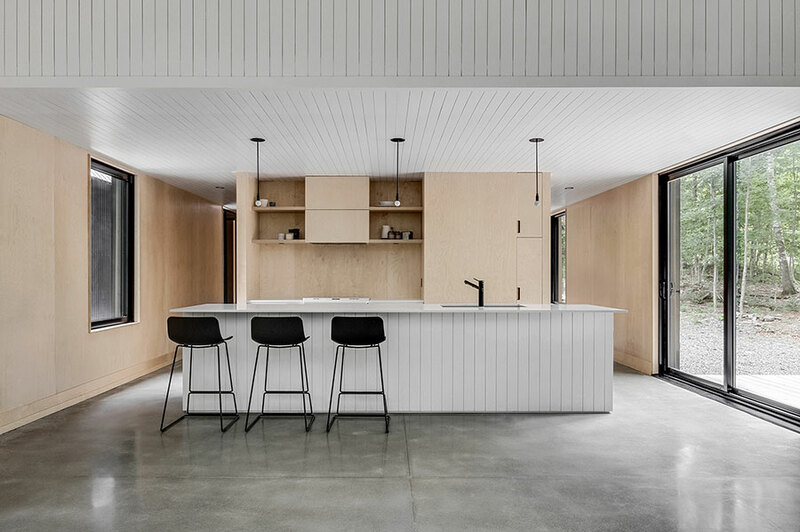 The large windows allow light to pour into the cottage, while bringing the nature in; a feel also enhanced by the understated look of the plywood-covered walls and ceilings. 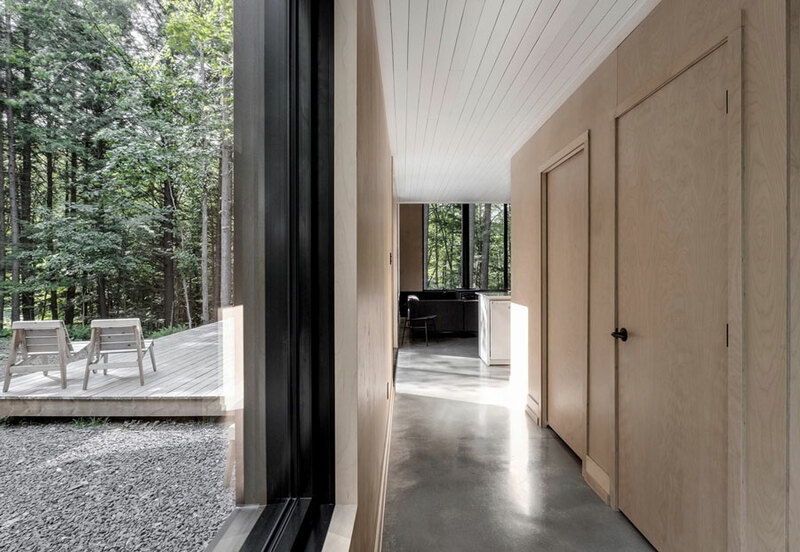 The first floor features a large, airy and open living space that includes the kitchen, dining room and living room, as well as a powder room and ample storage space. 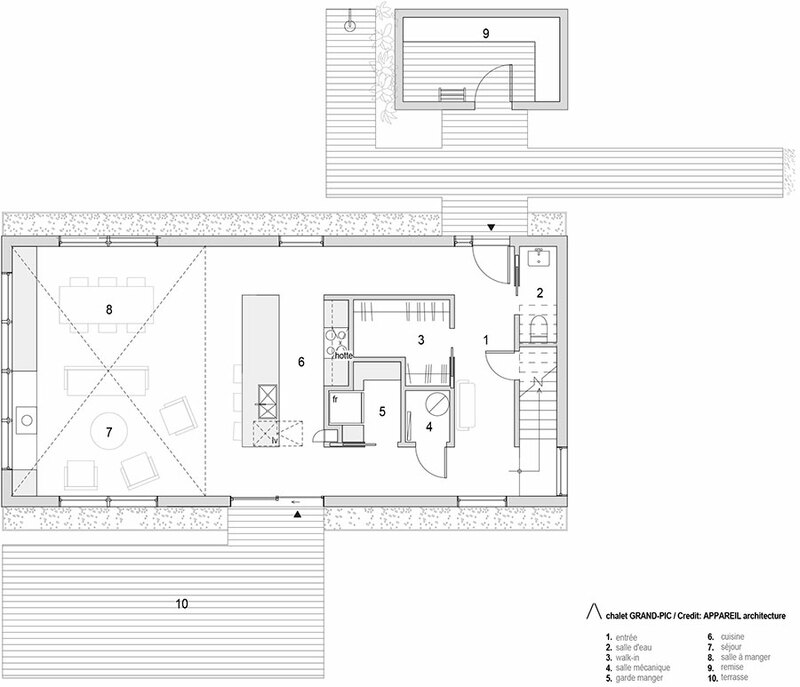 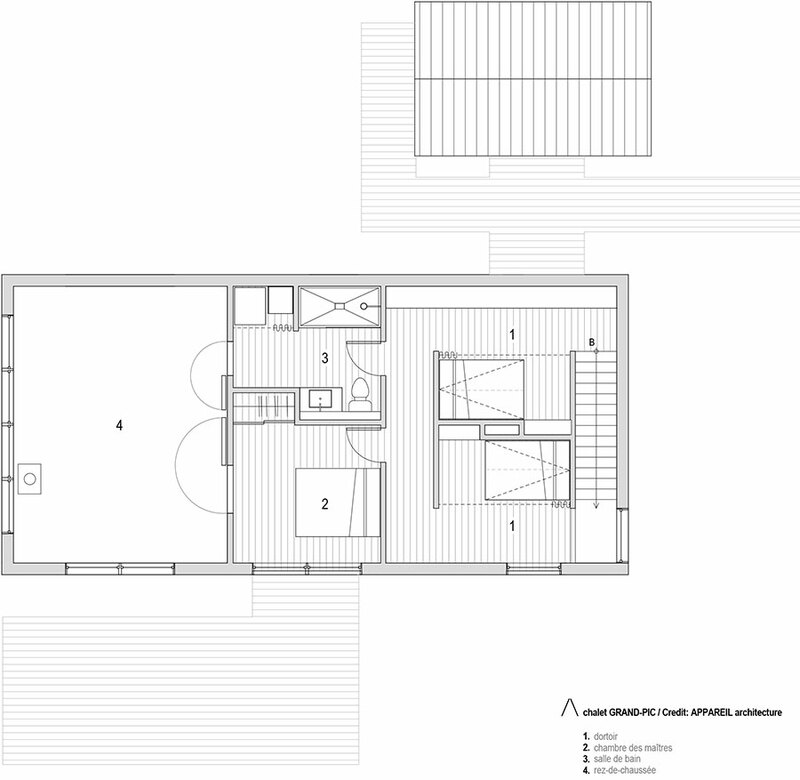 The second floor comprises one bedroom, a dormitory zone for guests and a bathroom. 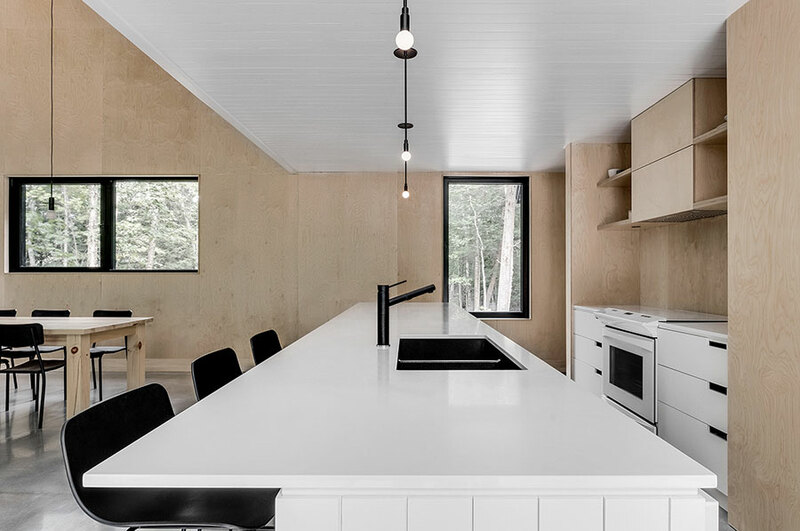 To find out more about APPAREIL, check out this interview with lead architect & founder Kim Pariseau. 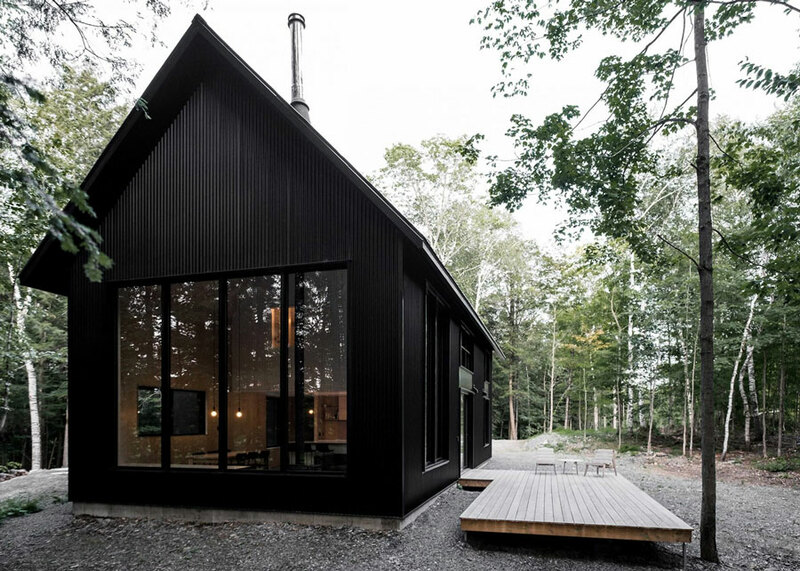 Are there plan for this cabin ?